Facebook Messenger wants to become the mobile app for everything. What does this mean for brands? The idea that Messenger is aiming to transform itself from a messaging mobile app into an all-encompassing platform has been making rounds since 2015. And after the recent F8, Facebook’s annual developer conference, it was clear that the social site is working harder to make this possible. It’s safe to say that these features are collectively making Messenger more than just a chat platform. But what do all these things mean for businesses? Messenger has embedded itself into people’s lifestyles. Many users were unhappy when the social media giant pulled out the Messenger app from Facebook in 2014. You’ll see angry rants everywhere about how Facebook was making people download a separate app just so they can talk to their friends. But people installed the mobile app on their phones anyway, making Messenger one of the most popular apps across iOS and Android. In fact, despite what was perceived as an annoying move, Messenger was able to grow its monthly active users from 300 million in 2014 into more than 1.2 billion today. People are sticking to Messenger mainly because it’s more convenient than SMS or email. Practically all their friends are already there, and they can even see when other people are online and when they’ve read their messages. Together, these features make instantaneous and continuous communication possible. In that way, Messenger has cemented itself into people’s everyday lives. Facebook is working to strengthen this user-app bond even more. It’s planning to make music-sharing and game-playing a possibility for users, as unveiled at the recent F8. What’s more, with its instant photo-sharing features that resemble Snapchat, Facebook is bringing people even closer to one another. Just imagine how businesses can benefit from this. The immediacy that Messenger provides doesn’t only let them expand their reach or increase their responsiveness. 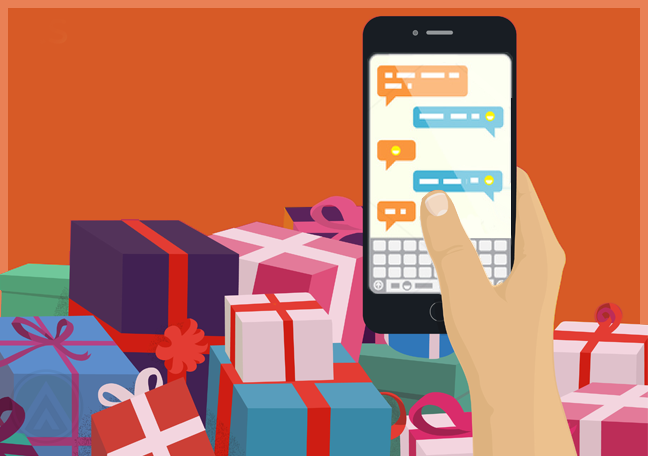 When a brand starts a conversation thread with a customer, the Messenger app retains all the information exchanged by the parties for virtually forever. That gives businesses the elusive ability to fully understand a customer based on past interactions and purchases. In addition, Facebook Messenger lets developers take advantage of its smart and intuitive tools, such as chatbots and virtual assistants. This brings us to the next point. AI tools are expanding Messenger’s capabilities. Messenger’s mission to become the mobile app for everything is largely anchored on artificial intelligence (AI). Last year, Facebook launched Bots for Messenger, an initiative that allowed developers to build their own bots. This enabled customers to do more within a single app—whether it’s checking news updates, making reservations at a restaurant, or placing orders from ecommerce sites. 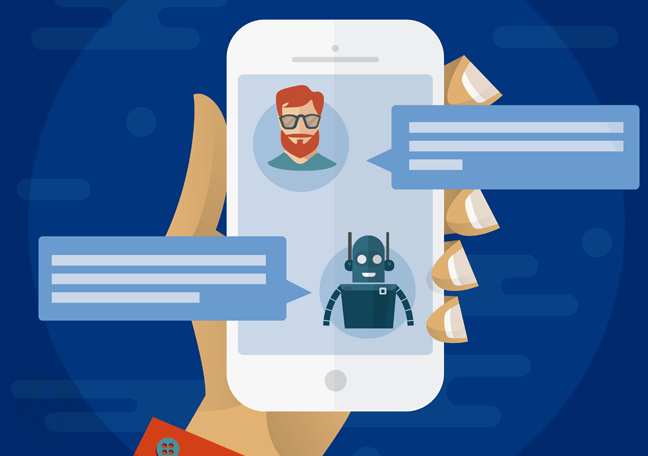 This ability to build a Messenger bot to carry out a specific functionality helps enhance not only the in-app user experience, but the entire customer experience. The biggest challenge to tackle is creating chatbots with a human-like personality and elevating their intelligence and intuitiveness. In the next years, what we want are bots that can engage and entertain while performing complex tasks. The groundwork for AI-powered customer support, however, is already being laid out by Facebook. The social media giant is continuing to develop its AI tools to allow brands to improve customer interactions. In addition, Facebook is working on an even smarter bot called M, which acts as a virtual assistant. M was launched in 2015 but was overshadowed by more popular mobile assistants like Siri and Alexa. M is intended to function by listening to conversations and automatically popping up when it recognizes a user’s need for help. So Facebook’s plan is to build M right into Messenger‘s platform. For example, if you’re chatting with your friends and making plans to meet, M may appear and make suggestions for the best restaurants nearby. It will then offer to make reservations for you and maybe even arrange a car service so you’re good to go. Messenger’s mission to become the only app every person needs is driven by its vision to transform interactions. And this applies not only to brand-consumer interaction but also to all kinds of relationships. And because of this, brands gain the opportunity to engage with consumers at a very personal level. Facebook Messenger allows them to connect with users without requiring them to go through several time-consuming steps. Therefore, if brands can maximize the capacity of Messenger bots, customer service will cease to be a cumbersome and complicated process. For instance, an ecommerce brand that doesn’t have an optimized Messenger strategy would presumably have to tell customers to go to their website to browse items. Then, shoppers would be asked to create an account, fill out long customer data forms, and verify their account via email before they can add items to their cart. On the other hand, assuming that a brand uses a smart chatbot, they can allow customers to place orders via the Messenger app itself. This gives consumers a quick, fuss-free way to get the services they want from brands—all through a single mobile app. So by simplifying the customer experience, Messenger renders multi-step business transactions obsolete. Instead, it allows brands to create meaningful, interactive, and personalized conversations by situating itself right within customers’ everyday lives.